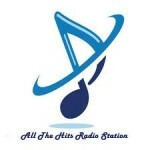 We are a free internet radio station – ELO Forever – Always playing the best hits from 70s , 80s & 90s . Classic hits, Classic Rock, Soft Rock ,and Disco. We provide the best online internet music. If you want to listen to great music then you should tune in on ELO Forever.